unless it’s your fist job you probably hate ordering them too. They’re boring and they just sit in a placeholder or pocket anyway. When most folks are getting theirs on the cheap, figuring they just need “a business card” to hand out, you NEED to spend extra time and more money! Have brainstorming meetings with staff, friends and/or family, hire a designer and create business cards that are as bold as you want your business to be! Throw out the rules and make an impact! Keep it on brand, but come up with cards that are sure to be remembered and, even more importantly, get cards you are proud to give out! You can engage your customers through your business cards, you don’t have to settle for just informing them! Your reflection: There’s a good chance you have a stack of business cards sitting on your desk, counter or next to your cash register for customers to take as they exit. Shouldn’t that stack of paper be an incredible reflection on you & your business? Don’t you want your customers to take them because “they’re cool” actively and hand them out to friends / family? Isn’t that what you were trying to get them to do with your last batch of flyers? Why not your business cards? An extra $100 goes a long way! Where else in your company expenses can you say that? Business cards are INEXPENSIVE and should be treated with more care and dignity than that last flyer you handed out! A quick Google search for business cards reveals amazing deals and with just a little clicking around you will be amazed by the options you will find! As simple as a logo: You don’t need to have your information etched into a razor blade to make an impact (although that would be pretty impactful). An unexpected shape, clever design or intriguing theme could strike a memorable chord with your customers! For example, if appropriate, consider recycled paper with the symbol to show you’re engergy & cash conscious. It’s advertising! 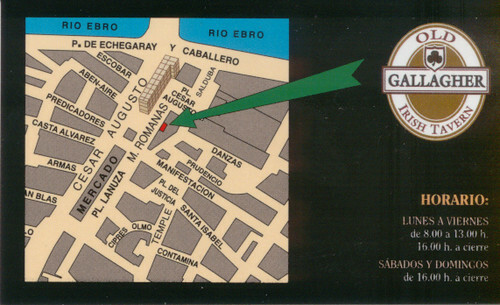 How many times have you grabbed another business card on “the way out” of somewhere to remember the place you were just in? Perhaps you recommended a former vender to someone and handed over their business card? 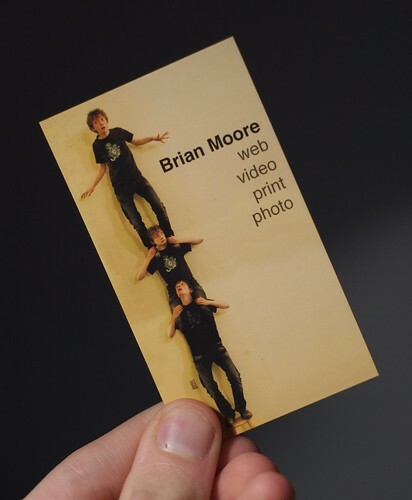 Check this out, a business card that’s actually useful! Didn’t you cut that…: billboard campaign? …last round of tv or radio spots? Maybe you passed on updating your sign? If you’re spending less, your face to face time with customers / clients needs to increased! Generally speaking, the lower you’re marketing budget the more of it you should invest in yourself! 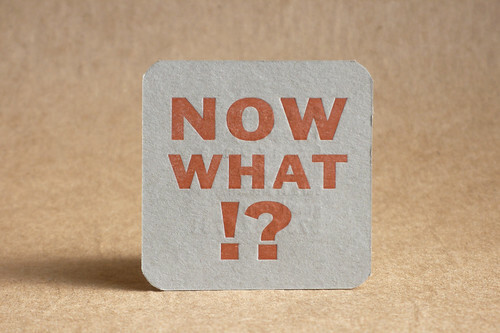 Second impressions: When you’re not around and Joe Client pulls your business card out of their pocket, or digs it out of a desk drawer, they may very well be fuzzy on the details of your meeting or even on the fence about calling you. Now days, weeks or even months later they’re remembering you from your crappy boring business card! Avoid cheap clip-art: This isn’t about handing out little computer cut-outs with your phone number on the screen if fixing computers is your business. Keep it simple, clever & professional and get direct feedback from 10 people you don’t know if you’re unsure about your design. Less is more: Unsure if “x” information should be on your card? Then it shouldn’t! Put that on your website! Get as creative as origami! If you really want to go the extra mile, which you probably should, and you really really really want to wow ’em (I’m talking to you Designers, Consultants, etc.) at the bottom of this post I’ve included a number of links to AMAZING MIND BLOWING BUSINESS CARDS, yes – business cards! How crazy should I get? I suggest getting a stack of your competitors cards, find the coolest & most impactful ones and kick up another notch! Email me your business card designs & I’ll post them on the bottom of this article. Here is the front of my new card, I was going for clean & clever, how’d I do? Let me know what you think! Did I live up to my own advice? Update! Check out this NEW POST! 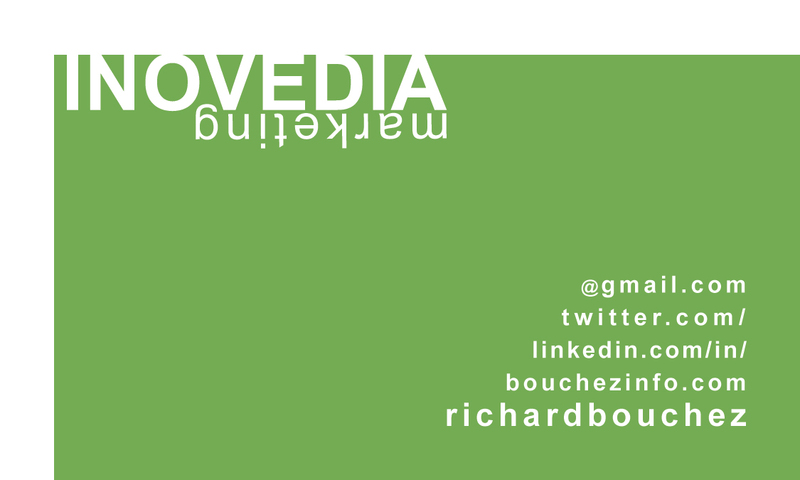 > Amazing SOCIAL MEDIA Business Cards and Concepts! Twitter, Facebook, Linkedin, Mobile and more! 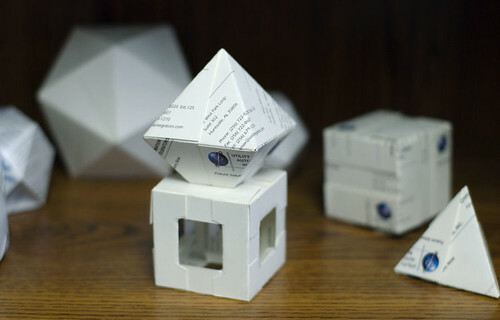 Finally, here some incredible links to AMAZING MIND BLOWING BUSINESS CARDS, yes – business cards! Always hoping to see creative business cards! Thanks for the inspiration! love these samples! so fun. often, we forget to have fun in business….